In today’s world, publicity can make or break a business. If they successfully get the word out about who they are and what they can offer, this will draw in large crowds, increasing their audience. However, if they lack positive exposure, the company will fall flat and fail as a whole. One of the most effective ways to communicate a brand to the public is through graphic design. 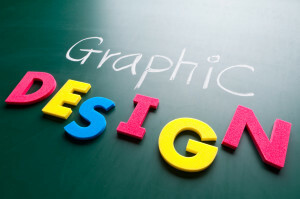 Graphic design is a form of communication that involves visuals. This includes anything from printed words to images. It is definitely the most common way to get a message across, as it’s found practically everywhere you look. You will see it employed in billboards, websites, brochures, logos, business cards, posters, magazines, newspapers, and greeting cards. Typically, designers work with computer-generated, photographed, painted and drawn pictures to promote their business or client. However, that’s not their only tool. They also create the letterforms that make up typefaces, which you see in movie credits, menus, and book advertisements. Designers produce, choose and organize the typography, images and “white space” around them to depict their message. They are responsible for telling a story without speaking, and gaining widespread interest in the process. It takes a big imagination and the ability to think outside the box, as it is an artistic method that mixes art and technology to communicate ideas. 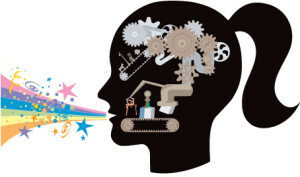 Designers develop images to represent the ideas that their clients want to communicate to the public. This form of design is so powerful because it not only drives across information, but it can also convey moods and emotions. People have a tendency of responding instinctively to images based on their personalities, associations and previous experiences. For example, if you see a picture of a chili pepper next to a dish on a restaurant’s menu, you use your knowledge that a chili pepper is hot to deduce that this meal will be spicy. When it comes to image-based design, the images need to carry the entire message. There are generally few words, if any, to help get the point across. These pictures may be photographic, drawn, painted, or created through different computer programs like Photoshop and InDesign. This type of design should only be used when it’s clear that a picture is truly worth a thousand words. Sometimes, designers rely solely on words to relay a message. However, they use writes differently from the way writers do. To designers, the actual look of words is just as crucial as their meaning. The visual forms, such as the typography and handmade lettering, perform various communication functions. They not only allow you to identify what the product is, but also grab your attention and make you take notice. Designers that specialize in type-based design are experts at presenting information in print, film, packaging and signs. There is a lot that goes into type-based design, more than the average person would assume. For starters, what kind of typeface or type size should be used? How will the margins and the spacing between the paragraphs and lines appear? Will the text be divided into two narrow columns? Should paragraphs be indented or instead will they begin with decorative lettering? What about the page number? Will the boldface terms change using italic or underlining? How will the text affect the way readers react to the content and client? These are the kinds of questions designers have to think about. They must figure out the message and the audience for type-based design in order to make these hard decisions. Often times, designers combine images and typography together to communicate a client’s message to the public. There is a whole word of possibilities that come when words and images join forces. It then becomes the designers’ responsibility to find the best balance between them while creating appropriate letterforms and images. Designers are the real link between the client and audience. This is because clients are usually too close to the message and product to see all the ways in which it can be presented. On the other hand, the audience is often too wide to have any direct impact on how a communication is offered. Besides all this, it’s also difficult to make the audience have a say in the creative process. That’s when graphic designers come into play. Unlike the client and audience, graphic designers know how to take a message and represent it efficiently and effectively. They work with the client to understand the purpose of the message and then collaborate with market researches and other specialists to understand the nature of the audience. Once a design concept is dreamt up, the designers then work with illustrators, photographers, typesetters, printers and other production specialists to create the final design product. Symbols and logos are very special ways of identifying a client from the rest of their competition. These images or words are abstract representations of a specific idea or identity. For instance, the Nike “swoosh” is a symbolic form, which the public automatically recognizes as representing the company. When people see that image, they associate it with Nike. Similar to this, logotypes are corporate identifications built on a special typographical word treatment. Some identifiers are a mix of both symbols and logotypes. Designers must have a clear vision of the client, the exact audience they are trying to reach, and the message itself to successfully create these identifiers.